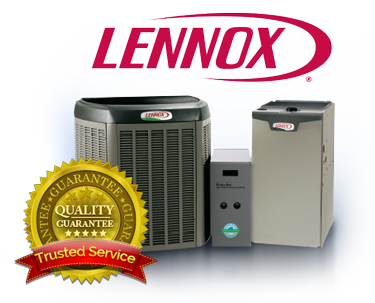 TemperaturePro North Atlanta has everything you need to live comfortably with quality HVAC products and services. We serve every customer as though you are our only customer. We believe everyone should enjoy the benefits of a quality HVAC system. 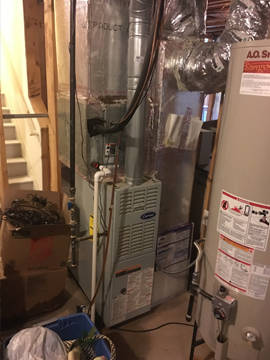 That’s why at TemperaturePro North Atlanta, we’re here for all of your HVAC Furnace Heating and Air Repair/Maintenance Service needs. 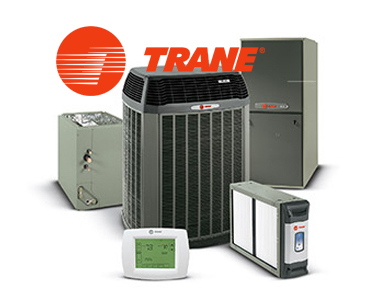 You can depend on us to provide high-quality, reliable products, and best-in-class installation and service to achieve maximum system performance and life-span, while working to decrease your energy bills. If you’re looking for the best HVAC services, look no further than TemperaturePro North Atlanta! We understand that the people of North Atlanta rely heavily upon quality HVAC service to uphold their standard of comfortable living. That’s why our highly trained technicians are NATE (the master’s degree of HVAC) and EPA certified to handle your installation, maintenance, and repair for all makes and models of air conditioners, furnaces, and other HVAC systems that effect your in-home comfort. 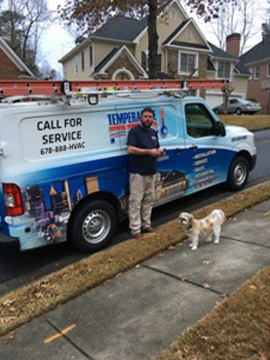 Regardless of the season or the reason, you can count on TemperaturePro North Atlanta to get the job done. Call us today to discuss your HVAC needs! Look to our Financing page to see our complete list of options, and give us a call so you can take advantage of them today! 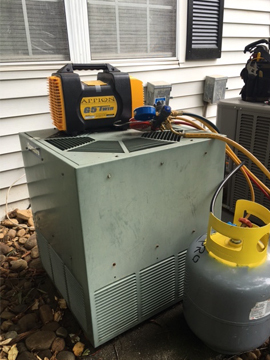 Installation: For an HVAC unit to have a long, efficient life, it must be properly installed. You can avoid repairs, reduce your energy bill, and more if your unit is installed with TemperaturePro North Atlanta. Repair: You need reliable repair to back up your unit when things go wrong. 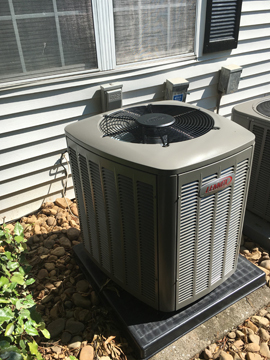 At TemperaturePro, we provide affordable repairs that will have your unit up and running again in no time. 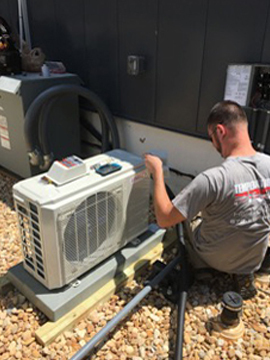 Maintenance: Help your HVAC reach its full potential with maintenance plans that will maximize the unit’s efficiency and minimize its wear and tear. Indoor Air Quality (IAQ): Great HVAC service is about more than just being comfortable; it’s also about the quality of the air you breathe in your home. You can improve your indoor air quality with TemperaturePro North Atlanta’s many IAQ products. TemperaturePro North Atlanta upholds the standard that the customer comes before everything else. We put everything towards achieving and maintaining our customers’ comfort and satisfaction! HVAC systems are crucial to enjoying a high standard of living. Allow TemperaturePro North Atlanta the chance to make sure you exceed that standard today. You’ll be glad you did! We serve all of North Atlanta and its people. If you are in need of HVAC services in North Atlanta, look no further than TemperaturePro. All of our technicians are certified, which is your assurance that air conditioning repair and maintenance services will be completed correctly and quickly. The HVAC industry is diverse, and many contractors choose to focus on a specific niche. TemperaturePro® is a full-service contractor who can address all of your installation, repair, and maintenance requirements, regardless of the age of your equipment. Before selecting equipment or making recommendations, we inspect your current system and assess your needs. This includes running a complete set of load calculations to ensure that unit capacity matches the indoor load requirement. 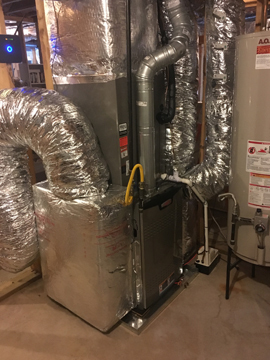 A good contractor will always inspect your insulation and duct system to ensure the performance at the air handler is delivered at the register. At TemperaturePro, we demonstrate our commitment to our customers by regularly investing in training, vehicles, inventory, and personnel.